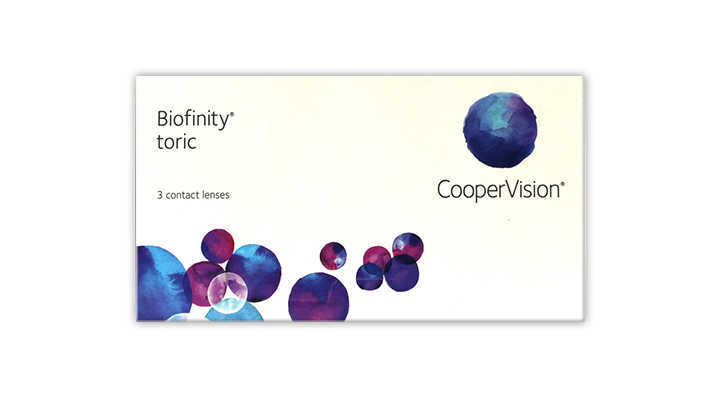 Biofinity Toric is made from the breakthrough Aquaform material that allows greater levels of oxygen to freely flow through the lens to the eye. Higher oxygen supply lenses are known to create whiter and healthier looking eyes for most contact lens wearers. Biofinity Toric also possesses and maintains a high level of water to ensure the lens remains soft and flexible, delivering real comfort through the day and night. To help deliver optimum vision correction for astigmatism, Biofinity Toric also has an advanced patented toric lens design. Combining this perfect balance of water and exceptionally high levels of oxygen, together with a new toric lens design, Biofinity feels almost as natural as wearing no lenses at all, with very stable vision.